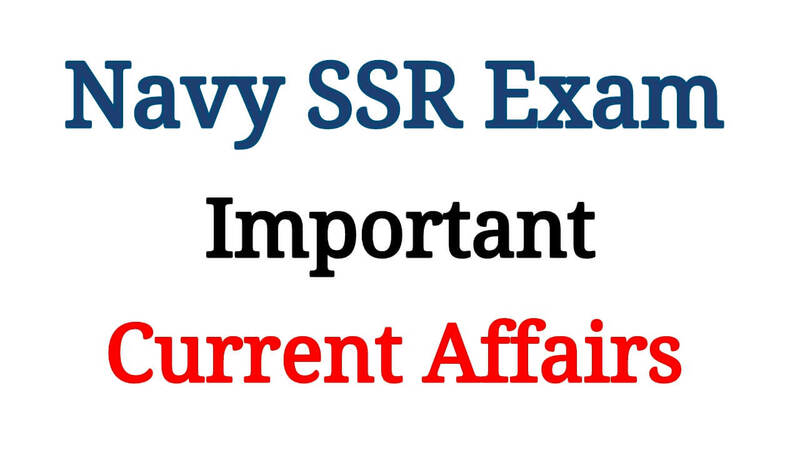 Hello Aspirants these are the important current affairs for Navy SSR exam . Generally 4 - 5 questions are asked from current affairs in navy ssr . Stay Tuned for more imprtant current affairs for navy ssr . If you have any doubt Comment Below .